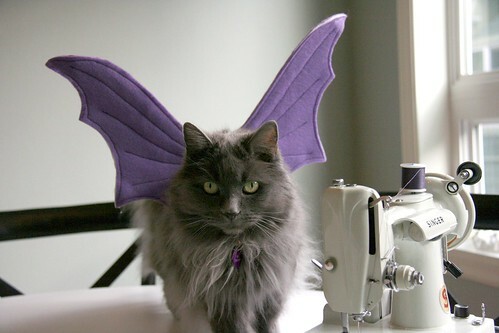 Bat wing inspiration found here. Ick! Good thing your cat's so cute or I wouldn't have even been able to read this one. Hope you had a good Halloween. I have a crush on your sewing machine.